A 5 year goal was finally realized – walking into the bank with my wife and proudly signing the paperwork to pay off the remaining balance of the home mortgage. Years of my wife and I donating her paycheck to the cause, saying no to some of the finer things, and getting a little lucky came to a culmination that day. We fist bumped (that’s what we always do at major life moments, don’t ask me why), celebrated with a filet mignon, then enjoyed the freedom of not owing anyone a penny. Why? I’ll get to that in a second. First, let me share a couple things about the uphill climb of paying off a mortgage early to achieve debt freedom. It’s the climb. Is it okay to quote Miley Cyrus’ songs in a financial post? Because it just happened. Here’s what I mean…having a shared goal with Allison, making sacrifices to see it through, and experiencing the pride, flexibility, and celebration was so worth it! But…there was part of me that wondered, ‘well, is this it?..shouldn’t I enjoy this more? What’s next?’ It’s awesome to have a goal and see it through! But understand that if your life wasn’t fulfilling beforehand, it probably won’t be after, no matter how cool the financial accomplishment may seem. Freedom and flexibility are worth a lot. Owning a home outright opened doors like the possibility of renting that I hadn’t thought of before. Timelines matter. Here’s why Alli and I didn’t mind chasing down a $90,000, 2.8 % debt when theoretically we could have invested this money and hoped for more aggressive growth: we wanted the money to be available to us within 5 years when a home that fit our needs popped up. A friend once told me that 5 years is his timeframe to decide how aggressively he invests, so we went on the conservative side. If getting out of debt was a cool experience, why dive back into it ($200,000 this time for a home)? Good question. The short answer: It’s my daughter’s fault. I’ve only seen it 4 months, but having a child is a game-changer…physically, emotionally, socially, and financially! The long answer: having a baby girl pulled my wife away from her job and the breathing room of a second income. Effectively living off one income for the past 5 years to set lifestyle habits was the best piece of financial advice we have ever gotten. And with a growing family came the desire for more space in a bigger home. We pulled the trigger on the new home, but our discretionary income being slashed made it practically impossible at this point to go after the home mortgage debt aggressively. Even with the couple hundred dollars left over in the monthly budget, we’re choosing long term investing over paying off the debt sooner. College and retirement savings have taken more of a driver’s seat with our savings dollars and that timeline is well past the 5 year mark that my friend suggests. In a numbers sense, we’re choosing to invest with hopes of a 8% return versus the guarantee of paying off a 4% debt. What about you? How do you decide whether to pay off debt or invest with a higher return in mind? LendingTree lets the banks compete for your home refinance. Check out our experience with them. 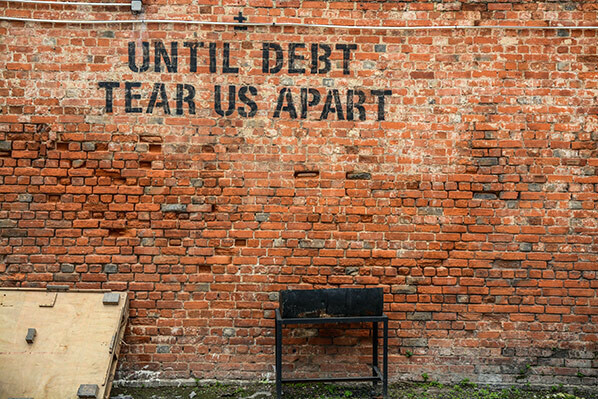 When Does It Makes Sense to Stop Paying Off Debt? Early on in the article you mention luck playing a part. And you end the article by mentioning your hopes of receiving an 8% return on your investment. I would perhaps say that whilst luck certainly does play a part, it’s wisdom and sacrifice that have truly been bringing you to your current situation. We can all be tempted sometimes to take the easy road and the path that we know is certain, however, if you truly want to do something great, there is always risk involved. I admire your creative solutions and educated risk-taking. This is sound advice and a very good article, it would be interesting for you to keep us updated on your plans and circumstances.